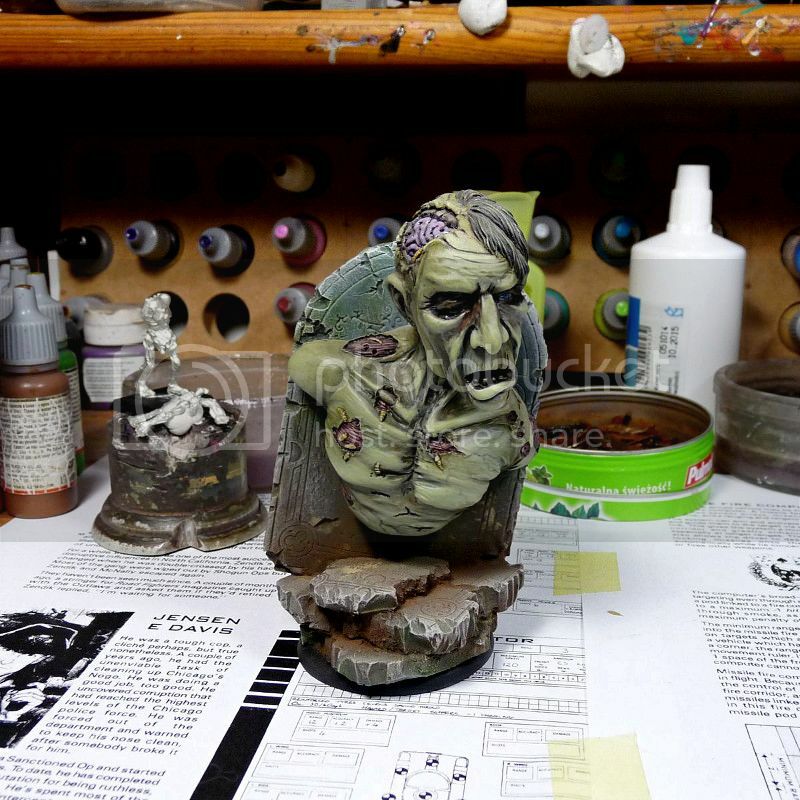 Fever, flames and hell... And zombie bust for sale! Oh yeah, there's nothing like a witch-burger with spicy napalm sauce. Emperor's own! I took a break from painting chaos to work on little something from the exact opposite side of the barricade: Redemptionists. It was good idea to take a breath of fresh air. Fresh fumes of burning gasoline actually. 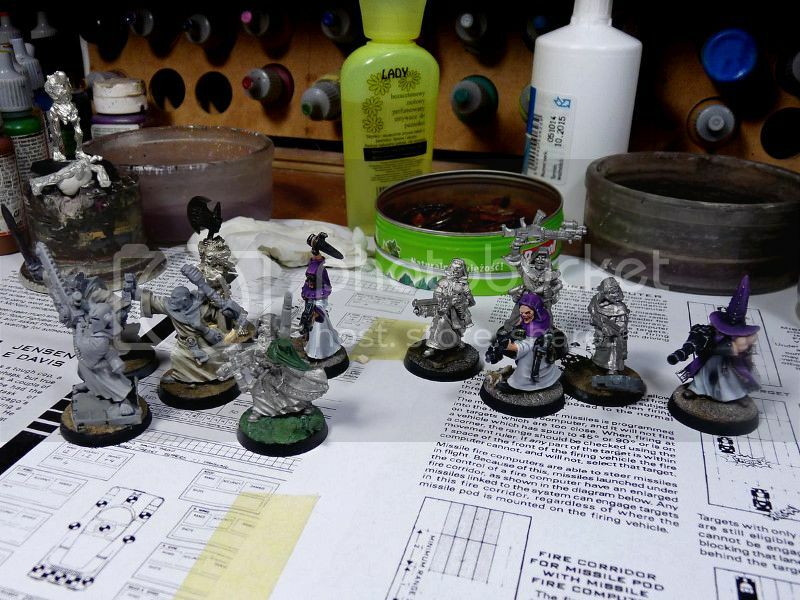 Still - I am quite satisfied about the first set of painted members of the crusade against The Filth. Have to practice it more - I want to see much stronger contrast so each and every heretic on the battlefield can see fury of the Emperor advancing. I am bit disappointed how the white turned out - no idea why camera didn't catch lots of shades so I think I should either paint them stronger or add another hue (blue?). Don't want to screw it - the crusade must remain pure to deal with heretic scums big style. So below - 3 amigos from new gang: Serap, Crowley and Bergstrom and on the next pic - all current gang members. Another news - recently the decision was made to get rid some unused stuff from the shelf, 2 posts back I found new home for some West Wind minis, last weekend chaos knight found the owner so there's only zombie bust left before I choose the next group to send away. If you think you can find the model useful and would like to adopt it - send the email, comment or whatever. I am sure we can get the agreement. And for good start of new week - Redemptionists lullaby. 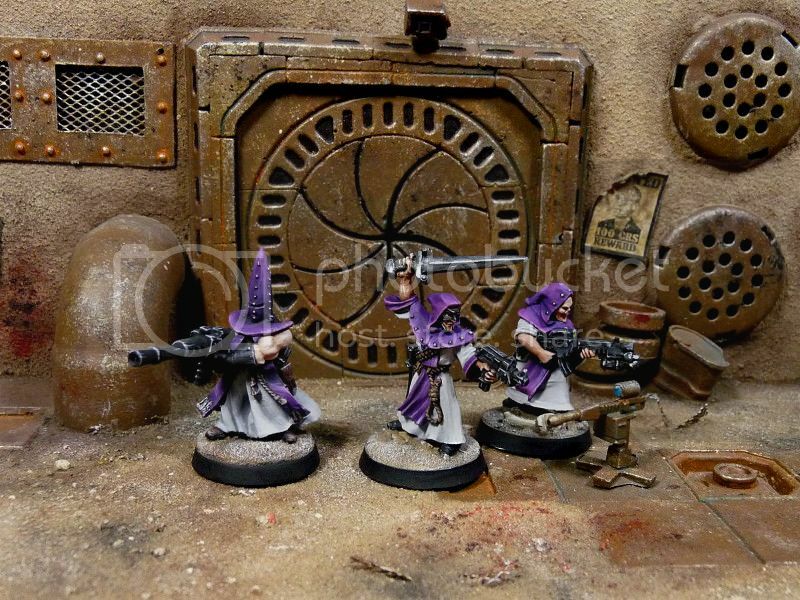 Stay away from heretics and depravation, some more flamers will be painted shortly!! !